The price now includes the cost of the net bag at £7.50 as part of our Bags 4 Life scheme. If you have a bag to return or just want the bag tipped out and don’t need the bag just type Bag4LifeM into the coupon tab when you place your order and you will be discounted £7.50. 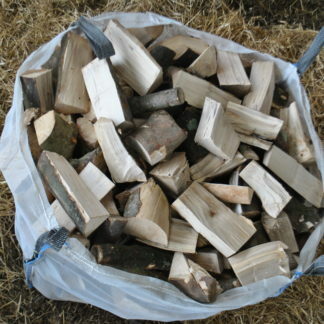 Our Metre bags, previously know as XL bulk bag, of well seasoned softwood are possibly the best value of all although burning more quickly than hardwood the softwood is very easily lit and burns with an intense hot flame. 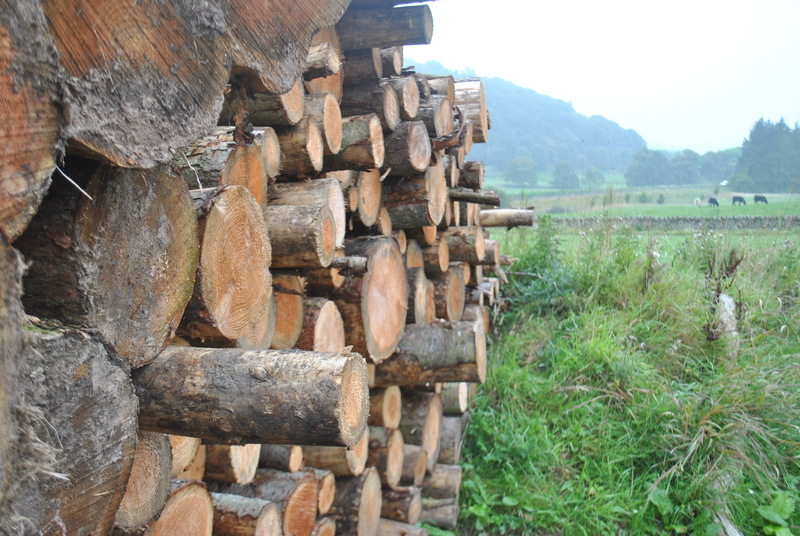 We guarantee our softwood logs are below 20% moisture content. Our price includes delivery with no hidden charges. These logs are cut to 8-10 inches (20-25cm) in length, nearly all 8 and a half inches. 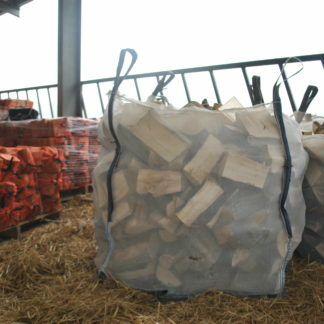 The bags measure 1m x 1m x 1m offering a large volume and great value. 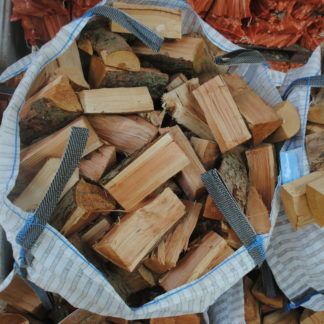 We also now hold stock of smaller cut logs, between 6-7 inches, for those with smaller stoves please let us know on your order notes if this would be best for you. If you don’t want to keep the bag we can tip the bag for you and give you a free bag of kindling. 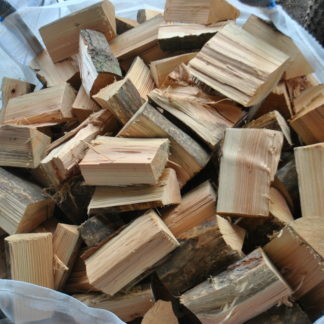 Alternatively keep a hold of the bag and we can give you a free bag of kindling with your next order. 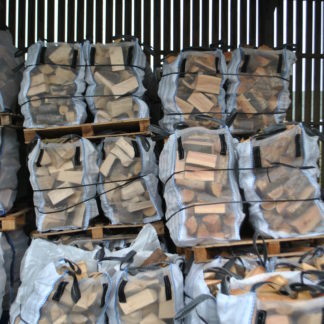 We can stack your logs neatly in your log store for £15 a bag please let us know in advance if you’d like to take advantage of this service so we can allow time between deliveries. Great service and great product. 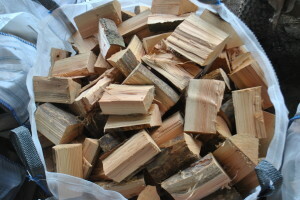 Very low moisture content, which makes splitting a log up for kindling a doddle (assuming you don’t have kindling already). Will definitely be regular customers.